No nails. No paint. No wallpaper. If you are a renter, you must be familiar with these rules. Yet the desire to make our temporary homes look good motivates us to be creative. Here’s one solution to cover up that ugly wall. And it won’t pinch your pocket. 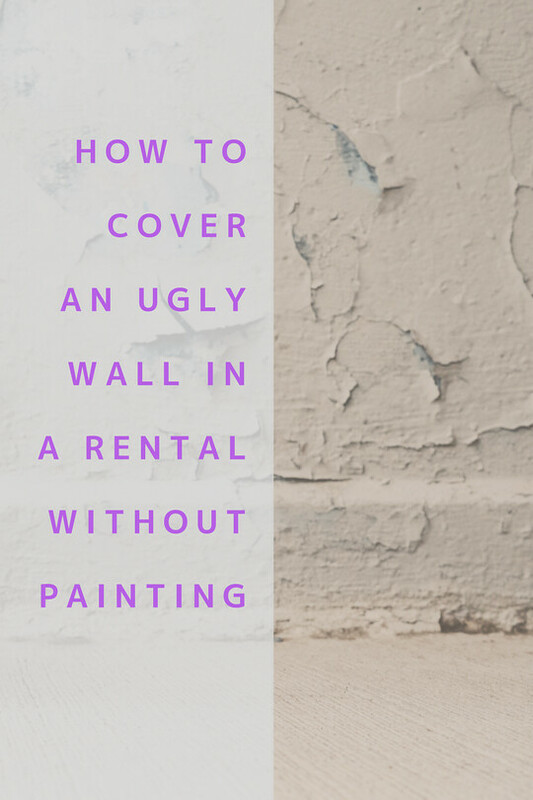 This morning, someone asked me a question, “What’s the best way to cover an ugly wall without paint or wallpaper?” This is a conundrum that renters face more often than not where your options for covering eyesores are limited or next to none. 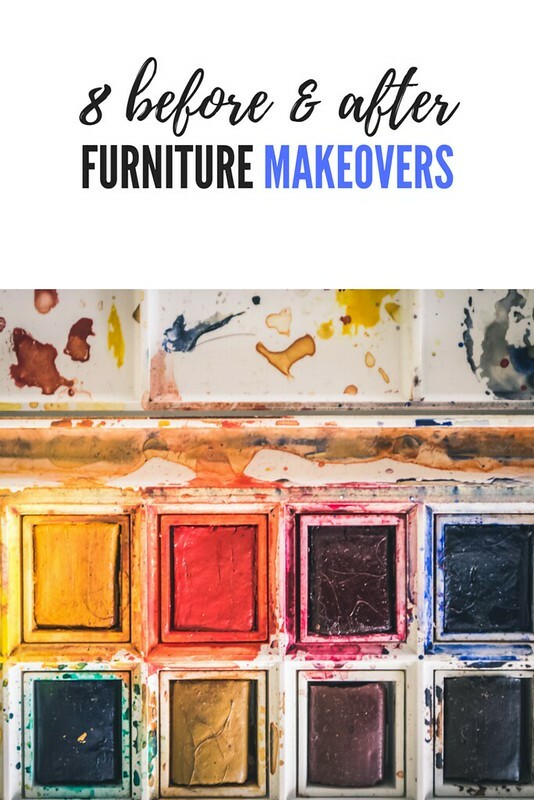 When the paint is peeling off, as an owner, your first instinct would be to fix the wall by peeling off existing paint, applying new putty and giving it a fresh coat of paint. I answered the question, but not convincingly. This set me thinking for the better part of the afternoon. I figured the best option would be to place something in front of it to camouflage the dark secrets. Any sort of cover must be as large as the wall itself. If one were to cover it with something like a curtain, it would require fixing a rod to hang the curtain. This is another renter’s dilemma. On rent ~ no nails. So, here’s a simple solution on a budget that will work well while giving a dramatic effect to only the wall, but the room in entirety. Time to reveal the trick. Use a fabric or wallpaper. Paste it on a plywood to create a panel as tall as the height of the wall. You may use a single piece of thin plywood for a continuous and dramatic effect or use two pieces joint together. 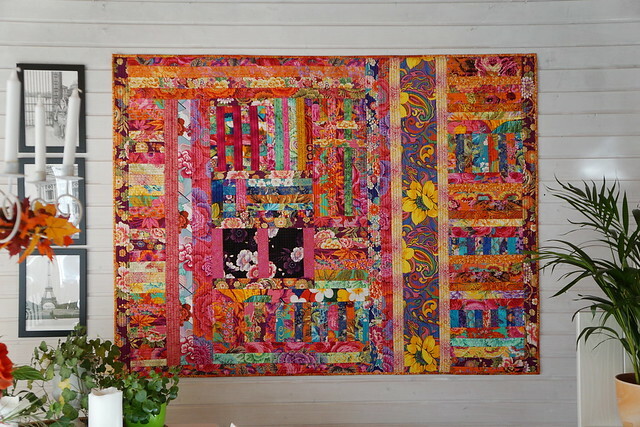 Bright, patterned fabric brings in color, warmth, and texture to a room. On the other hand, rich self textured monochrome fabric adds elegance and sophistication giving it a luxe look. Pick your fabric or wallpaper to set the tone right from playfulness to boho-chic and sophistication. Place the plywood in front of the wall. The wall is covered without any further damage or visibility to it. The best part about this is you can take the plywood art with you whenever you move. So, it’s a not a dead investment. 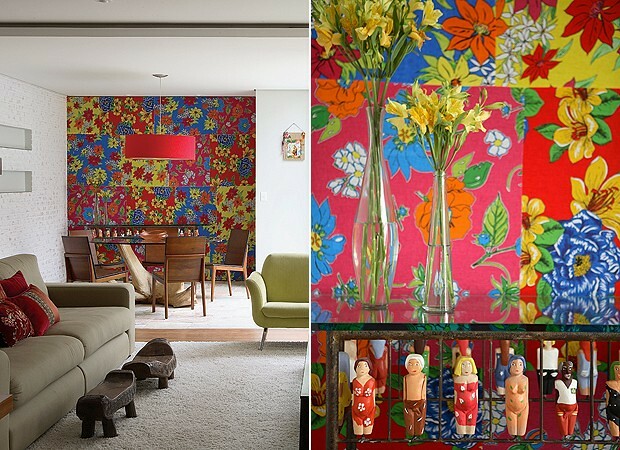 Choose fabric or wallpapers in bright colors and vivid patterns. They will draw the eye to this piece while covering any other flaws a room may have. 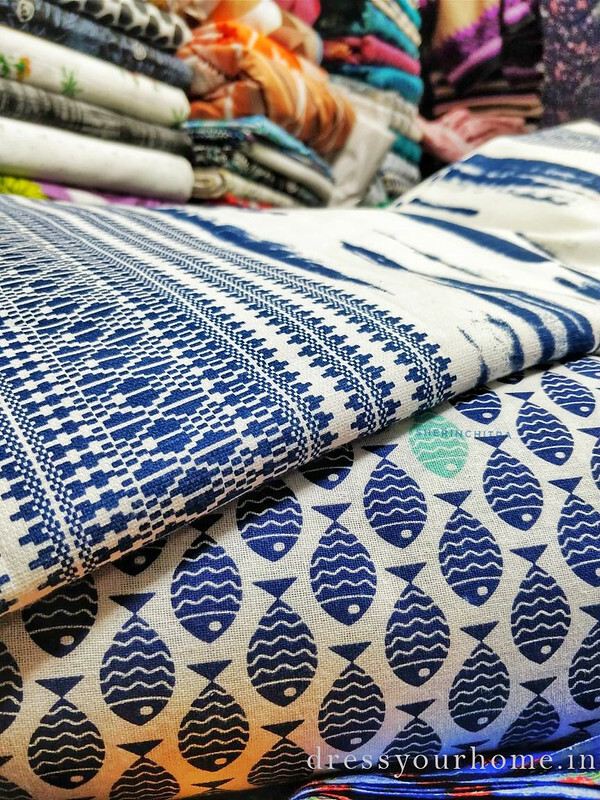 You may choose a sari or a big piece of tapestry for this project, too. 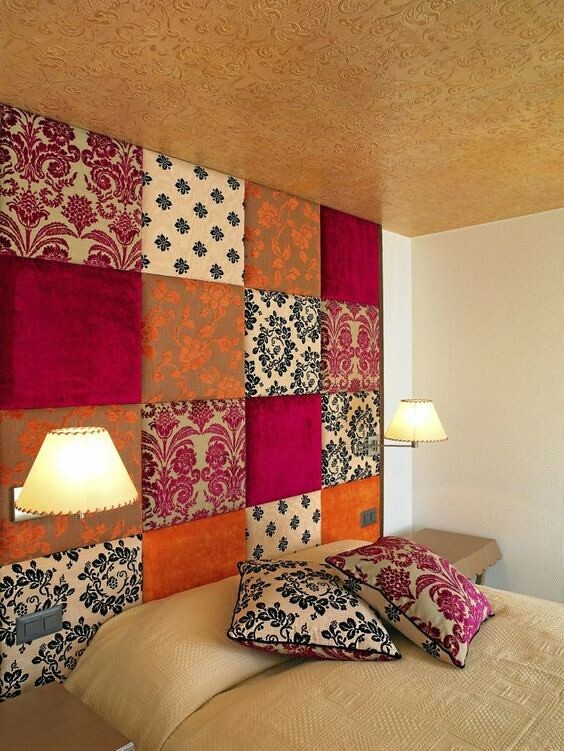 Patchwork panel: this wall panel/headboard is upholstered with colorful patchwork fabric. 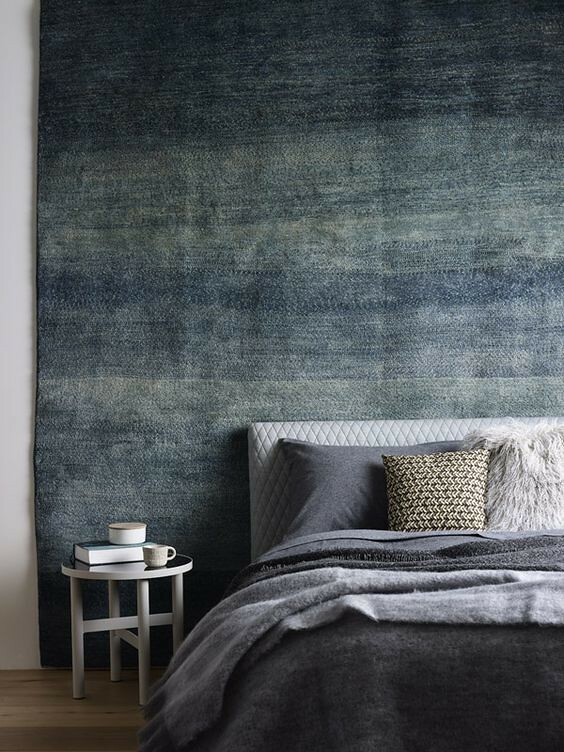 This textured carpet is another brilliant way to decorate a wall. If you are at liberty to apply adhesives on wall directly, you may find this tutorial on how to apply fabric on a wall helpful. If you are willing to invest in the project, you may make this wall a lightweight, portable one on wheels. Choose a material that is not as heavy as plywood, in that case. One other decorating trend is to cover walls with maps. The more quirkier they are, I bet the more interesting your conversations will get.